You are born in India. You play cricket. You have ample experience of playing on turning wickets. You represent your nation in the World Twenty20. Your inaugural match is against New Zealand. The pitch is slow and fairly a rank turner. You are expected to do well because New Zealand have inexperienced spinners. Your bowling attack restricts the opposition to 126. Around 1.25 billion people think you can win the match. You COLLAPSE on a paltry 79. I'm not a ghostwriter who is writing a script for someone. 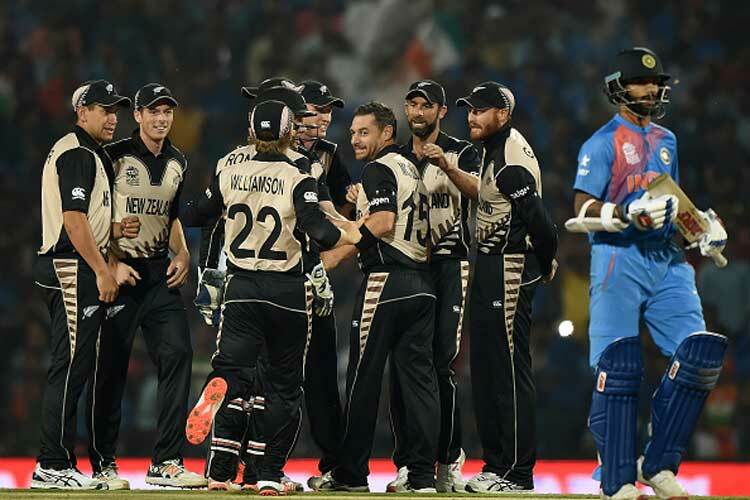 This is the mirror image of India's performance against New Zealand last night. Having won the toss, the visitors elected to bat on a slow wicket. Martin Guptill hit Ashwin over his head for a six off the first ball of the match but was trapped in front of the stumps playing a sweep shot on the following delivery. Colin Munro came next. Played his first ball for a duck which was followed by a six off a reverse sweep. Such acts of courage in the first over itself displayed that the team had inherited the same aggression which their former captain, Brendon McCullum, displayed during his tenure as captain. Perhaps, the Kiwis had decided to play an aggressive brand of cricket in the post-McCullum era as well. Before the match began, the Indian batsman must have made strategies to counter Tim Southee and Trent Boult. But what was thrown in front of them was very unusual of New Zealand to do. How often do you see a country like New Zealand playing three spinners? Not just spinners, 'inexperienced' spinners. But what followed was hard to digest. It was less of New Zealand winning the match and more of India losing it. It was less of the visiting bowlers dominating the game and more of Indian batsmen being dominated by the game. It was less of a wife being dominating and more of a husband being dominated. Shikhar Dhawan began the proceedings in the Fall of Wickets section for India after playing an ill-advised sweep against the turn of Nathan McCullum. Following him was his opening mate, Rohit Sharma who got deceived by the flight and turn of Mitchell Santner. Raina diminished in the same over after playing early to a straight ball gifting his wicket in the form of a dolly to Guptill, who was fielding at mid-wicket. 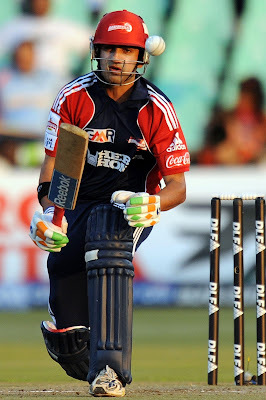 By the end of the powerplay, Yuvraj Singh was back in the hut as well. Shikhar Dhawan was the first Indian wicket to fall. MS Dhoni then joined his deputy, Virat Kohli, at the crease. Just when no Indian wicket fell for 19 deliveries, a sense of relief circulated around the fans in the nation. But what followed on the 20th was the wicket of Kohli. Ish Sodhi had just been introduced into the attack when his leg spinner kissed the edge of Kohli's bat and went into the waiting hands of Ronchi. Hardik Pandya's 7-ball misery was brought to an end by Santner. Ravindra Jadeja was yet another victim of a soft dismissal. A leading edge falling straight into the hands of the bowler, Sodhi. With Dhoni still there and Ashwin standing at the other end, there was still a half chance for India. But half chances don't really count. Or do they? When 54 runs were left off 21 balls, R Ashwin tried to break the shackles but was beaten in the flight of Sodhi. Having nowhere to go when Ronchi disturbed the LED bails, he too followed the footsteps of his colleagues in the pavilion. In the next over, Dhoni tried to hit one over long-on, failing to which he too had to take the long walk back. The match was OVER before it was officially over. The last wicket was a mere formality which was completed by Adam Milne in the next over. A definite Indian win was restyled to 'The Great Indian Batting Collapse' where the Indian batsmen had no one but themselves to blame. Their lack of approach made a minute total of 126 look like a mammoth total. They should have exercised control over the black caps in native conditions instead of crumbling in front of them. But, all is not lost here. They still have 3 matches to go in the tourney and should be looking to play on their strengths in front of the home crowd. The upset of yesterday should not become a reason for the trouble of tomorrow.